A Odournet possui um histórico comprovado, com mais de 30 anos de experiência na assistência à indústria para dar resposta a este desafio. 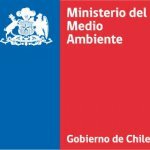 Odournet provided us technical experience in environmental odour management and its team participated in the development of the “Strategy for the management of odours in Chile 2014-2017”. We expect that this strategy allows us to improve the quality of life for people and insert the odour management in the environment management of the country.